Day 01 Arrival assistance & transfer from Cochin airport/railway station to hotel . Afternoon sightseeing in Cochin. Visit Dutch Palace – The place has a fine collection of mural paintings depicting the scenes from the Hindu epics Mahabharata & Ramayana, Jewish Synagogue – the oldest synagogue in the world is magnificently decorated by Chinese tiles and Belgian chandeliers, was built in 1568.
elegant Chinese fishing nets that line the tip of Fort Cochin . Morning drive from Munnar to Thekkedy (110 kms). Check in at the hotel. Afternoon sightseeing in surrounding place of Thekkedy. Visit spice market and boat cruise at Periyar lake. Overnight stay at hotel. Day 05 After breakfast proceed to Alleppey (160Kms). Afternoon go for a sunset cruise at Vembanad lake. Overnight stay at Alleppey. You will be picking from CochinAirportand drive to Cherai (30 Mnts Drive). Check in to Sea / Backwater view room . sightseeing toGoshreeBridge,DutchPalace (Friday Holiday), Jewish Synagogue (Friday & Saturday Holiday), St. Francis Church (Sunday Holiday), Chinese Fishing Nets with Spectacular view ofFortchchin beachEnjoy the evening watching a spectacular sunset or swimming at the picturesqueCheraiBeach. Overnight is to be spent at hotel. CheraiBeach is a 15-km long undulating strip of sand and surf & backwater. It has the distinction of being one of the cleanest beaches inIndia and owing its shallow depths, is safe for swimming, surfing and sunbathing . Overnight stay at Cherai. After Breakfast proceed to Munnar (130kms). Check into Hillview Room. On your way visiting Cheeyappara water falls and view point. Check in at the hotel . Afternoon sightseeing. Visit Mattupetty dam, Eco point, Rajamali national Park,TeaMuseum. Over night stay at Munnar. After breakfast check out from the hotel and drive to Alleppey ( 5 Hrs Drive). 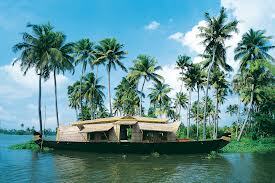 Check in to House Boat Backwater view room. Alleppey to Kumarakom Backwater Tour. Afterr breakfast check out from the hotel and drive to Varkala ( 3 Hrs Drive). Check in at Seaview A.C room Varkala's main beach, Papanasam is long and golden with a stunning backdrop of red laterite cliffs from which healing mineral water springs forth. Varkala is flanked by endless beaches to the north and south. Varkala's Temple Junction is home to the ancient Janardhanaswamy Temple dedicated to Lord Vishnu that was largely rebuilt in the 13th century. Afternoon to Anjeno Fort,KappilBeach and backwater. A confluence of the sea, river and the backwater, this secluded, picturesque spot is worth visiting. The Priyadarshini Boat Club here offers boating facilities. Over night stay at Varkala. After breakfast, check out from the Hotel and drive to Kovalam / Trivandrum(1 Hr Drive). On the way sightseeing to Varkala & Kapil Beach & Backwater. on arrival check-in into hotel. Partial sea facing & pool facing A.C room. Kovalam is one of the prime beach destinations inIndia. Enjoy the evening watching a spectacular sunset or swimming at the picturesqueKovalamBeach. 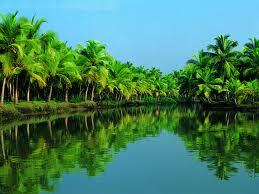 Thiruvananthapuram, previously calledTrivandrum, is an ancient city with tradition dating back to 1000 BC. This capital city ofKerala is a beautiful seaside metropolis built on seven hills. It is located on the west coast ofIndia spreading over a total of 2,192 sq.km. Afternoon trip to Chowara hills & beach, view point forVizhinjamHarbour & beach. Overnight stay in Kovalam. Morning at the beach. After lunch check out and transfer toTrivandrumAirport( 30 min ). 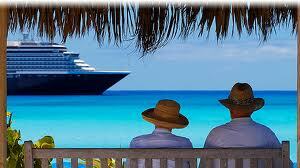 All Transfer & sightseeing by a/c Luxury Sedan car for whole Trip. All Meals in Houseboat & only breakfast for Hotel. All Toll, Tax, Driver Charges, Parking fee. All applicable other applicable Tax. Any entry fee for at any tourist spot. 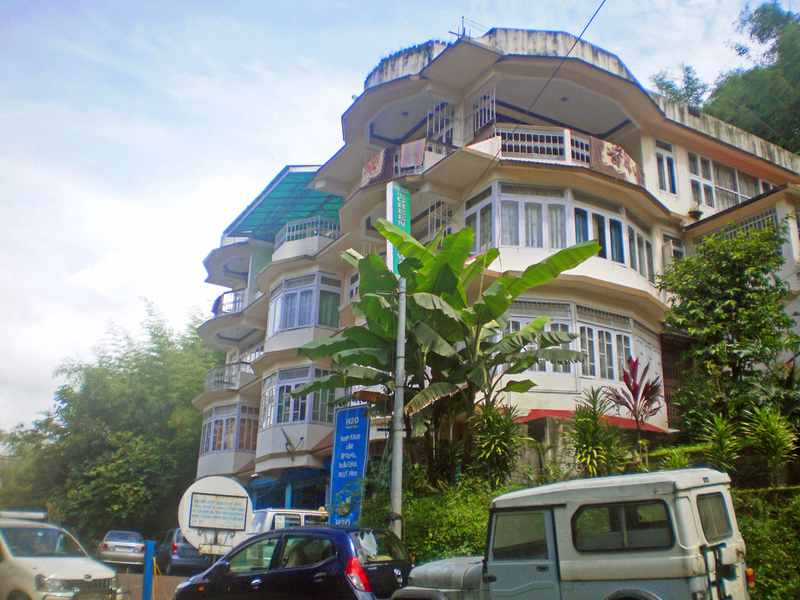 Arrival assistance & transfer from Cochinairport to hotel Check in at the hotel A.C room .. Afternoon sightseeing in Cochin. Visit Dutch Palace – The place has a fine collection of mural paintings depicting the scenes from the Hindu epics Mahabharata & Ramayana, Jewish Synagogue – the oldest synagogue in the world is magnificently decorated by Chinese tiles and Belgian chandeliers, was built in 1568.
elegant Chinese fishing nets that line the tip of FortCochin . Over night stay inCochin. After Breakfast proceed to Munnar (130kms). On your way visiting Cheeyappara water falls and view point. Check in at the hotel .Afternoon sightseeing. Visit Mattupetty dam, Eco point, Rajamali national Park,TeaMuseum. Over night stay at Munnar. After Breakfast Morning drive from Munnar to Thekkedy (110 kms). Check in at the hotel A.C room . Afternoon sightseeing in surrounding place of Thekkedy. Visit spice market and boat cruise at Periyar lake. Overnight stay at hotel. After breakfast proceed to Alleppey (160Kms). Check in Houseboat. lakeview A.C room. .Afternoon go for a sunset cruise at Vembanad lake. Overnight stay at Alleppey. After breakfast Set out on an enchanting backwater cruise in traditionally decorated houseboats. While cruising in these floating luxury-villas, let your eyes settle for the rare and the unusual - skim past Chinese fishing nets, bowed-down paddy fields, and local inhabitants engaged in making coir products, rustic homes, and ancient temples and swaying coconut groves. Overnight stay at Alleppey. After breakfast, check out from the Hotel and drive to Kovalam / Trivandrum(4 Hr Drive). On the way sightseeing to Varkala & Kapil Beach & Backwater. on arrival check-in into hotel. Partial sea facing & pool facing A.C room. Kovalam is one of the prime beach destinations inIndia. Enjoy the evening watching a spectacular sunset or swimming at the picturesqueKovalamBeach. Thiruvananthapuram, previously calledTrivandrum, is an ancient city with tradition dating back to 1000 BC. This capital city ofKerala is a beautiful seaside metropolis built on seven hills. It is located on the west coast ofIndia spreading over a total of 2,192 sq.km. Afternoon trip to Chowara hills & beach, view point forVizhinjamHarbour & beach. Overnight stay in Kovalam. After breakfast drive to Kanyakumari (2. 1/2Hrs Drive); Kanyakumari is located at the southern tip of the Indian subcontinent and represents the site where the spiritual leader Swami Vivekananda spent days in meditation upon a rock off of the coast. PadmanbhapuramPalace, SuchithramTemple, DeviKanyakumariTemple, Vivekananda Memorial, Gandhidham and Trivenisagam are some of the sightseeing attractions in Kanyakumari. & back. Overnight stay in Kovalam. All Transfer & sightseeing by Xylo or Travera a/c personal car. A/c not available while riding Hills. 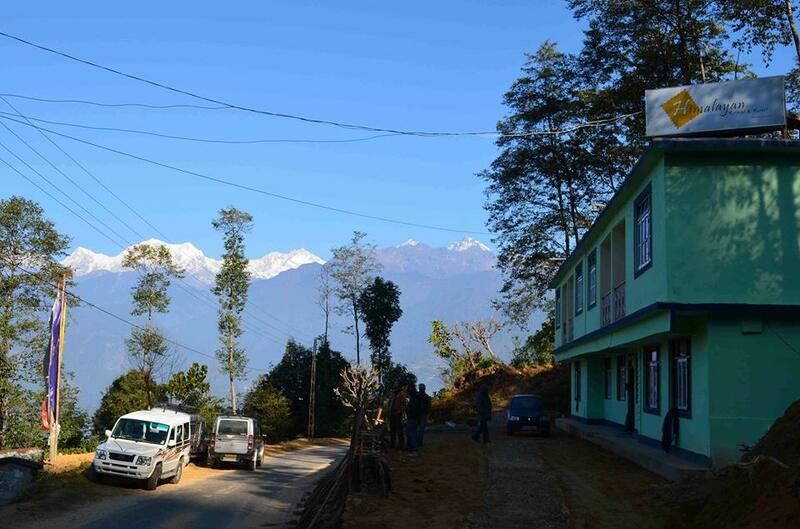 All stay in Standard A.C room ( except Munar ) as per itinerary, in mentioned Hotel or similar std. Hotel Complimentary breakfast & Dinner only. All Charges for boat/Cruise Trip.